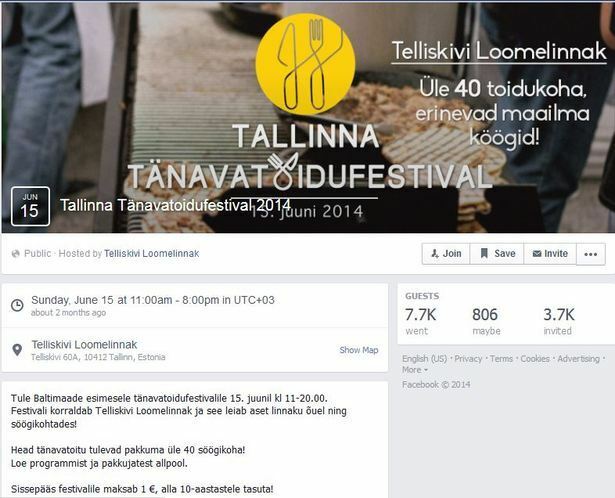 Tallinn Street Food Festival took place in June 2014 in Telliskivi Creative City. 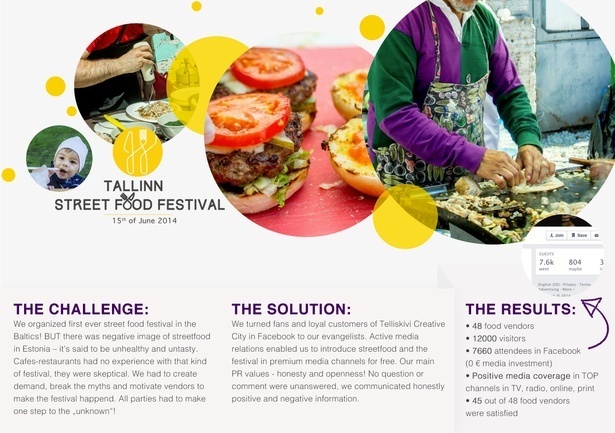 It was first ever streetfood festival in Baltics! It's a global trend that just starts developing in Estonia. 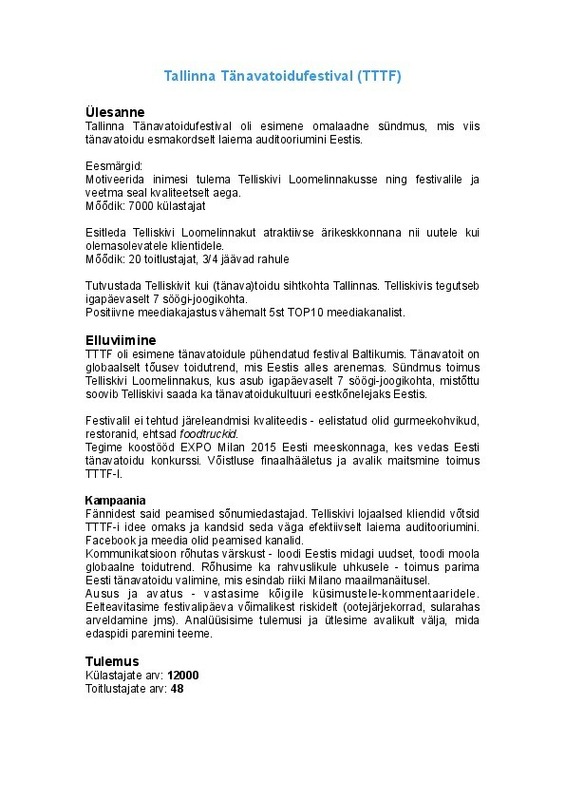 Telliskivi wanted to be and is now the trendsetter in this field. Only high quality vendors were involved to the festival. 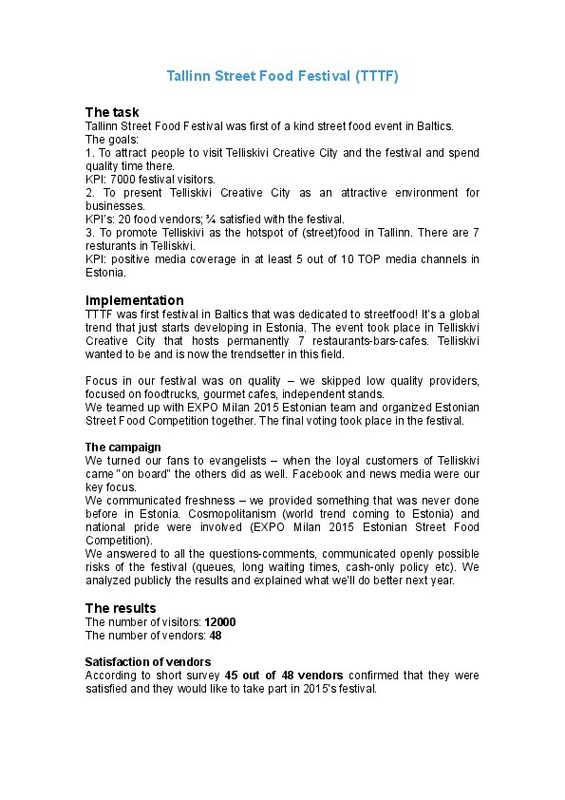 The cooperation with EXPO Milan Estonian team resulted in Estonian Street Food Competition. The festival was a success - 48 vendors, 12000 visitors, positive media coverage.